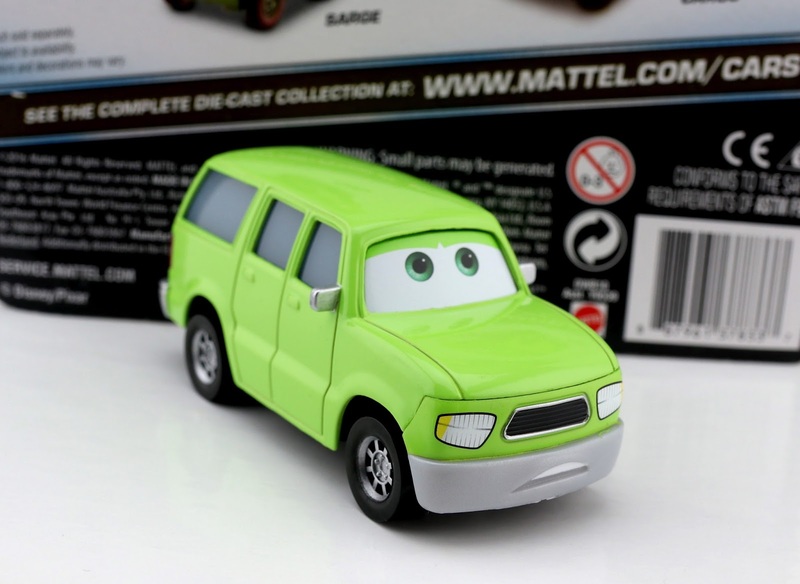 After this post, I'm only two cars away from finishing my reviews of the early 2017 Mattel Disney·Pixar Cars diecasts. After that, I can finally feel good about jumping into ALL the new Cars 3 diecasts and track sets that I've accumulated the last three months. Get ready for that! Today I'm taking a look at the deluxe size 1:55 scale Charlie Cargo from this year's "Boot Camp" sub-series (#2/2). He was in one of the last cases before the transition into Mattel's Cars 3 collection, so he proved pretty hard to find overall. Though I almost resorted to eBay, I finally ended up finding him a few weeks back at one of my local grocery stores of all places! 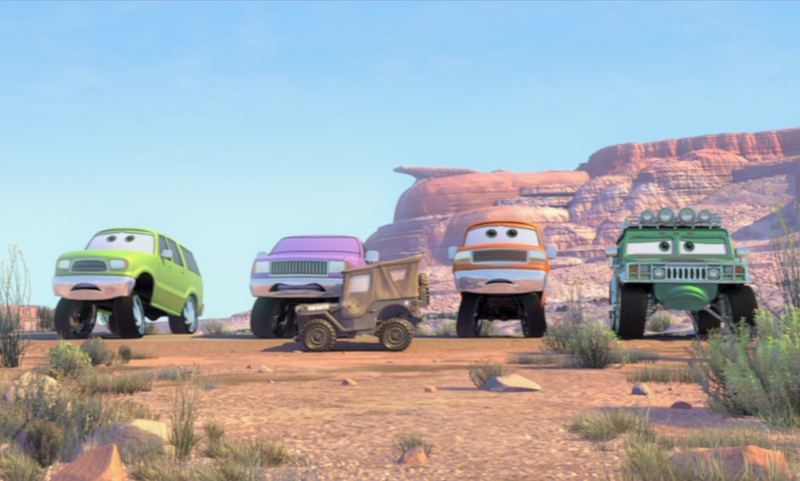 As shown in the screenshot above, Charlie is seen during the end credits of the original Cars (during the Sarge's Boot Camp snippet). He appears next to T.J. Hummer (who I have; seen HERE), Frank Pinkerton and Murphy. This is Charlie's first ever release on a single card. Up until now, he was only ever available in the 2009 "World of Cars" Toys R Us exclusive "Sarge's Boot Camp" 5-pack featuring Sarge and the other three aforementioned attendees. I wasn't lucky enough to get that set back in the day, so I awaited and hoped for a re-release. 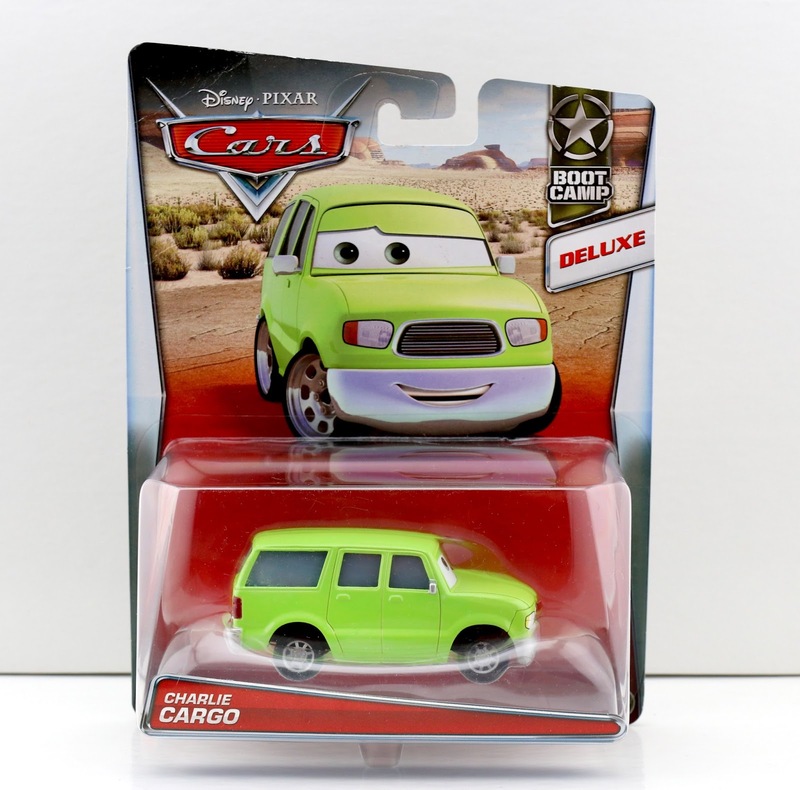 Well, I kinda got what I hoped for here with this re-release of Charlie (who is a welcomed addition to my collection), but I don't know why they didn't just re-release all of the cars from that scene. Why only have Sarge and Charlie (just TWO characters) in the entire sub-series? Hopefully this means though that Frank Pinkerton and Murphy will be on their way sometime in the relatively near future. This is a really cool, brightly colored and unique looking diecast. I love it! If you missed getting this character back in the day (or even if you got him in the 2009 5-pack), you may want to track him down if you're an avid Cars collector. I know for me personally, this was a must have! If you never found him in stores (and at this point it's highly unlikely that you will), you can always check out current eBay listings HERE or Amazon using the link below (Whoa—only $5.99 right now! Act fast).